Beautiful black highly styled Baroque wig perfect for a masquerade ball, a historical theme or even for a unique look at Hallowen. Beautiful black Baroquewig perfect for a masquerade ball or historical theme. 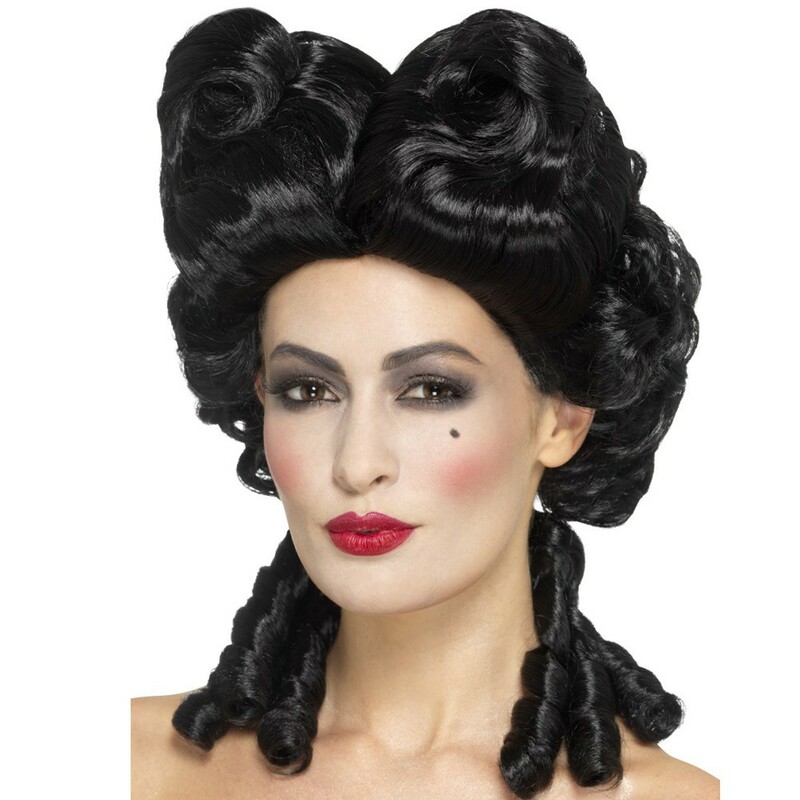 This fabulous historical Baroque Wig is sure to set off you costume perfectly. This black Baroque Wig is from the Smiffys collection that retails worldwide. Why not buy this great Baroque Wig accessory to finish off your costume perfectly?